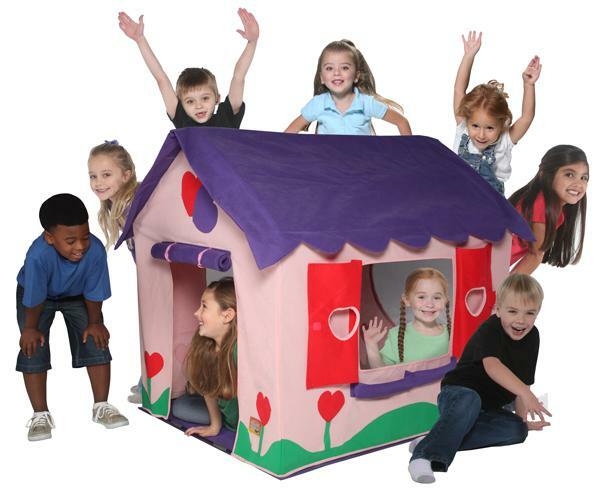 Features: Child-size house with an indoor-only padded roof, Doors and shutters open and shut for peek-a-boo fun, Floor detaches for quick and easy clean up, Fiberglass poles with protective plastic coating ensure stability and safety, For children ages 3 and up. 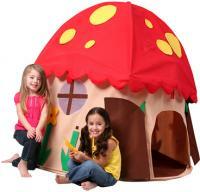 Dimensions: 45"L x 45"W x 38"H. Warranty: 30 days limited. 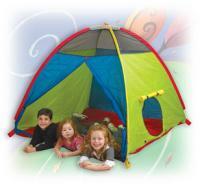 All tents meet flammability requirements ASTM-F963 specifications, but are not fireproof. All non-woven fabrics and hollow-fill fiber meet CPAI-84.